Imagine going to the booking office of the most luxurious housing project in your city to buy your dream house. But before making a buying decision you want to see how your future home would look like. So you ask their sales staff and they show you 3D views and animation of the property. That give you an idea but you are still not sure how would it feel to live in that house. Do not worry because this startup, iorena, is now providing an innovative solution to your problem. With their most attractive offering “ArchViz VR”, now you can feel how would it look like to live your dream home before actual construction. 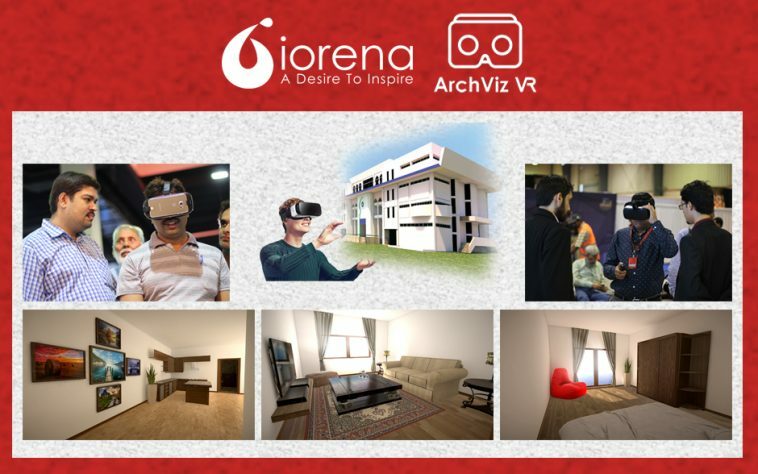 ArchViz VR – is an interactive application for both Virtual Reality (VR) and desktop experience. It provides realtime architectural visualization to the user where user can move around and explore the property before actual on ground construction. It is designed and developed for Constructors, Builders, Architects and Ad agencies to showcase real estate properties to their clients. This technology can also be used during architectural design process and for customer attraction at Exhibitions and Launching Events. iorena is bridging the gap between international trends and the local real estate market of Pakistan through their creative, innovative and unique products and services. Check out the links below to know more about them.